German Returns malayalam movie featuring Mammootty in lead will be directed by Ranjith. After 20 days of tight shooting in Germany, the second schedule will be completed in Kottayam. Renjith and his team will leave off to Germany on the first of April while Mammootty would join them on the 7th of the month. It would a rare chance for the malayali audience to watch the exotic locations of Germany. After exploring foreign locations like America, England, Spain, Maldives and Bangkok, the malayali audience with be looking forward to taste the scenic wonders in Germany. After delivering a number of hit movies, director Ranjith is gearing up to team with Mammootty for his next project. Titled as 'German Returns', it would the second movie to shoot in Germany after 'Mazhavil'. After receiving the National award for his previous flick 'German Returns', Ranjith is on cloud nine really excited to work with Mammootty. The duo who had worked together for 'Paleri Manikyam', 'Pranchiyettan' and 'Bavuttiyude Namathil' (script) is gearing up for yet another project which tells the life of an NRI who comes to Kerala. As seen in his former flicks, 'German Returns' will also be told in a sarcastic way which brings the audience under the feet. As the project got announced, the shoot of 'Leela' is kept a couple of months forward. Due to some undisclosed reasons, the movie has been postponed with no other further details. Based on the novel written by Unni R, 'Leela' was supposed to have Mammootty and Rima Kallingal in lead roles. After 20 days of tight shooting in Germany, the second schedule will be completed in Kottayam. Renjith and his team will leave off to Germany on the first of April while Mammootty would join them on the 7th of the month. It would a rare chance for the malayali audience to watch the exotic locations of Germany. 'Love in Singapore' which featured Mammootty in lead was a box office disaster. 'German Returns' is also expected to travel through the genre which can be tagged under an 'award winning theme'. The rest of the cast is not yet finalized but will have a team of actors who had proved their on screen acting brilliance on screen. 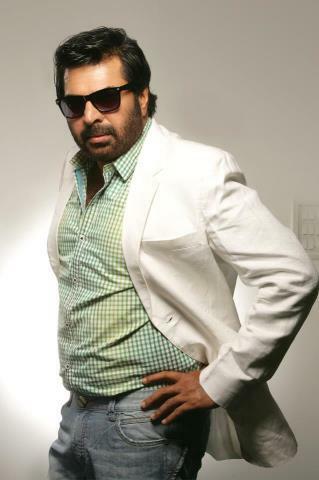 Get upcoming Mammootty's malayalam movies in 2013, new projects with release date. The malayalam movies with Mammootty in lead to get released in 2013 are Kammath and Kammath, Immanuel, Kunjanathente Kada, The Gangster, Arivaal Chuttika Nakshtram.